Find out now with a FREE property report! 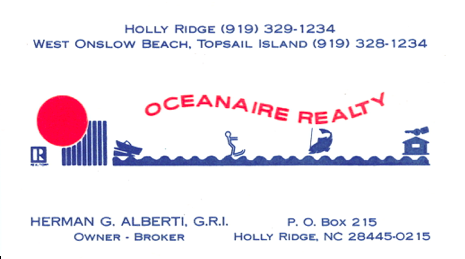 Felicia at Oceanaire Realty helped us purchase our Oak Island Condo. We are enjoying our purchase! I knew she was perfect for us at HELLO! She was amazing! She lead us through the whole process without a hitch. She was never pushy and gave us great advice. We became friends during the process. We worked with Doug Yopp in building a new home in South Raleigh. We landed on building after looking at several resale homes. We found Doug to be very helpful and patient in the process. He always did his homework and research and looked out for our best interest. In the end his work helped us land a smooth closing and beautiful home. Doug went above and beyond in helping us find the perfect place for our family in a very busy and competitive real estate market. He was always available to answer any and all questions, and really guided us through the home buying process with care. I couldn’t be more pleased with the assistance he gave us. Doug was a really big help in my search for a new place. Constantly kept me up to date on new openings and went above and beyond when it came to getting out and looking at places. Even his kids helped out a few times. You won’t go wrong if you choose to work with him. Tracy Y. and Chris D.
We worked with Tiffany and I can not say enough good things. We were first time home buyers and had no idea what we were doing. We were in a totally different state and she was amazing at helping us understand everything in the process and find the perfect home for our family. She had our best interests at heart and made sure we understood everything, if we ever had a question she was always very friendly. I will only recommend her to anyone that asks for realtor help. 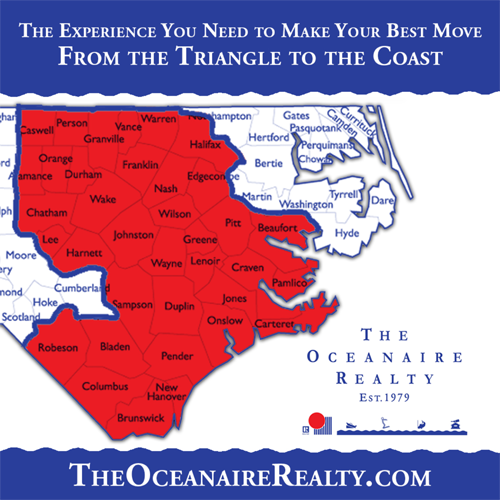 On September 1, 2017 The Oceanaire Realty was reestablished in Southeastern NC – serving the 21 Regional MLS counties with a primary focus on New Hanover, Pender, and Onslow. In May of 2018 the Triangle MLS counties were added to its service area to include Wake, Durham, Orange, Johnston and 12 others. This unprecedented coverage area puts our team in a unique position to help our families from the Triangle to the Coast. After working for and learning from the premier real estate team in the Triangle and a top team in the state of North Carolina, Broker/Owner Doug Yopp felt a call to continue the legacy of his grandfather, Herman G. Alberti, and his successful real estate business. He originally established Oceanaire Realty in 1979. Alberti, as he was known, served Topsail Island, Surf City, and surrounding communities as a broker and REALTOR® for nearly 30 years. Born in New Hanover County to German immigrants, he served his country overseas during WWII, was later stationed at Camp Davis in Holly Ridge, and had a distinguished career with the US Post Office. Additionally, he served three two-year terms as mayor of Holly Ridge. He was Doug’s inspiration for becoming a real estate professional, and also heavily influenced his personality and strong desire to help others. His passion for serving the area and people in so many capacities is at the heart of what The Oceanaire Realty is all about and what it strives to do every day. Our focus is always on our clients. We have the experience you need to make your best move. © 2019 NCRMLS. All rights reserved. North Carolina Regional Multiple Listing Service, (NCRMLS), provides content displayed here (“provided content”) on an “as is” basis and makes no representations or warranties regarding the provided content, including, but not limited to those of non-infringement, timeliness, accuracy, or completeness. Individuals and companies using information presented are responsible for verification and validation of information they utilize and present to their customers and clients. NCRMLS will not be liable for any damage or loss resulting from use of the provided content or the products available through Portals, IDX, VOW, and/or Syndication. Recipients of this information shall not resell, redistribute, reproduce, modify, or otherwise copy any portion thereof without the expressed written consent of NCRMLS. Data last updated 2019-04-21T08:55:43.01. The data relating to real estate for sale on this web site comes in part from the Internet Data Exchange™ Program of the Triangle MLS, Inc. of Cary. Real estate listings held by brokerage firms other than The Oceanaire Realty are marked with the Internet Data Exchange™ logo or the Internet Data Exchange™ thumbnail logo (the TMLS logo) and detailed information about them includes the name of the listing firms. Listing information is deemed reliable but not guaranteed. This web site is monitored for signs of third party scraping and any use of search facilities of data on the site, other than by potential buyers and sellers, is prohibited. Data last updated 2019-04-21T08:48:14.337.